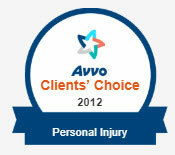 Accidents or incidents that occur due to personal injury are very frequent in New Hampshire. Personal injury results from auto accidents, work-related injuries, slip and falls, product liability, and a host of other incidents. We can serve as a strong advocate for you and your family if a loved one has died due to someone else’s negligence. It goes without saying that car accidents are all too frequent and can leave you in financial, physical and emotional turmoil. Our firm will help you fight to recover the compensation that you deserve. We respect and need our medical professionals. Unfortunately, medical malpractice is a reality we sometimes must face. Medical malpractice claims are complex and difficult to prove. At Teale Law, we have experience navigating the medical malpractice legal process. New Hampshire loves its motorcycles. Unfortunately, motorcyclists are at high risk for suffering severe injuries in accidents. Our firm has significant experience representing those injured in motorcycle accidents. Unfortunately, dogs are capable of biting and injuring children and adults. Someone should be held accountable for the damages you suffer as a result of a dog bite. Bicyclists share the roadways with cars and other vehicles, and unfortunately, sometimes become involved in serious accidents. Traumatic brain injuries are some of the worst injuries an individual may suffer. Contact Teale Law to discuss your case and determine if you should be compensated for your extensive medical bills and treatment. A slip or trip and fall accident may be caused by a wide range of potential hazards that include slipping on a wet or icy surface, tripping over something, or stumbling down a staircase with a poorly maintained step. Building managers, store owners and other property owners are required to keep their properties safe and free of hazards. Unsafe or defective products, improperly maintained buildings, and other types of negligence can cause individuals to suffer burn injuries. These injuries are often serious, may cause disfigurement, and likely require extensive medical treatment. Premises liability is a variation of personal injury law. The most common basis for establishing liability for personal injury is to show that the individual accused of causing the injury was negligent. For premises liability purposes, finding that the owner or occupier was aware or should have been aware of foreseeable risks to others on the property is a key element for the plaintiff’s attorney to prove. Your case deserves personal attention from a dedicated New Hampshire Personal Injury attorney at Teale Law. Call us today 603-935-7425 for a free case review. We will work to get the justice you deserve. 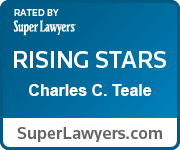 "Attorney Charles Teale was great. He worked hard on my auto accident case and I'm pleased with the results. Thank You!" "Chris represented me for an auto accident I was involved in. Prior to hiring him I was working directly with the defendant’s insurance. Chris got me over 5 x’s what the insurance company was offering. He’s absolutely my go to lawyer." Complete the form below to schedule your free consultation. The use of this contact form or website for communication with our firm does not establish an attorney-client relationship. Please do not send confidential or time sensitive information. 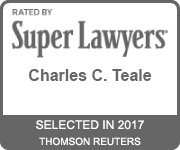 Teale Law is a distinguished law firm committed to its clients. We take pride in giving clients the special attention they deserve. We are selective in the cases we choose, allowing us to provide our clients with special attention, open communication, and a high level of information and transparency. Our firm represents clients in cities and towns all over New Hampshire including: Manchester, Nashua, Concord, Derry, Dover, Rochester, Salem, Merrimack, Hudson, Londonderry, Keene, Bedford, Portsmouth, Goffstown, Laconia and Hampton. We serve the following counties: Hillsborough County, Rockingham County, Merrimack County, Strafford County, Belknap County and Cheshire County.